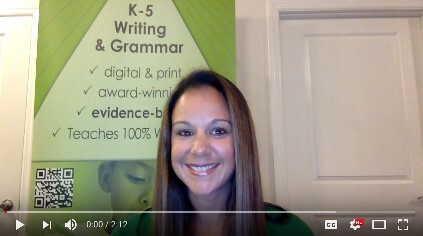 Watch the video below to hear one of our professional development coaches share some tips for successful writing conferences. Keep clear and concise notes. Teach students to work independently. 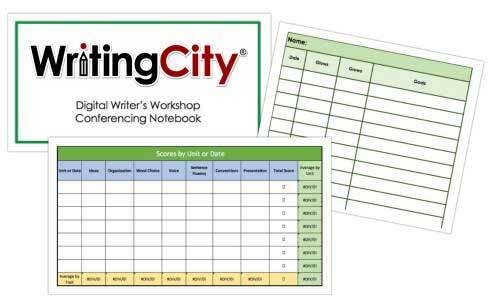 Click below to download a customizable, digital conferencing notebook! Ready to learn more about CaptivationStation, our student writing and practice platform? Click the calendar to sign up for a free demo. 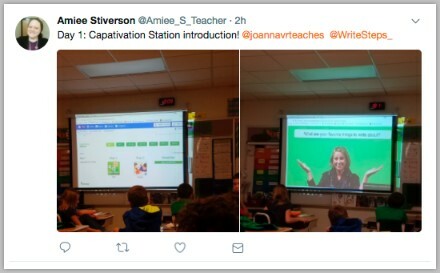 Our Awareness Ambassadors, Blending Learning Specialists, and Professional Development Coaches are happy to share success stories with you and discuss ways that you can implement CaptivationStation into your classroom regardless of whether you have limited technology or 1:1 devices! 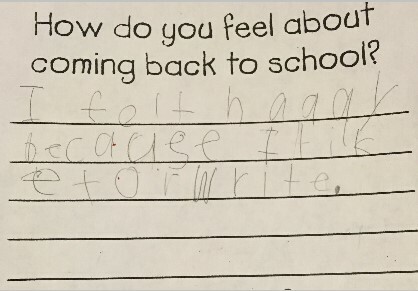 Ethan, a first grader from Pittsburgh, is happy to be back to school because he likes to write. This is music to our ears! Do you have a funny or heartwarming student writing piece that you’d like to share? If so, email it to [email protected] to be featured in an upcoming eNewsletter! Follow us on Twitter and like us on Facebook to see how teachers near you are using CaptivationStation! We know that budgets are tight, but we don’t want that to prevent your students from receiving the benefits of a quality writing program that they deserve. We have partnered with Pre K-12 crowdfunding experts to help you raise funds for WriteSteps’ products. If you or your school is interested in this funding opportunity, simply click https://www.pledgecents.com/signup/event/write-steps! It’s quick and easy. You’ll begin raising funds immediately. Copyright © 2017 WritingCity, All rights reserved. Please us on Facebook for tips, tricks and f.r.e.e stuff!